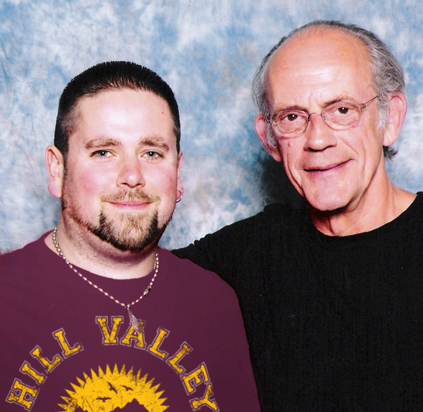 Last Exit customer Will Evans sent us this great picture of himself with legendary actor Christopher Lloyd. We think this one would look good on the mantlepiece, above the fireplace – it’s got that old school photo appeal to it, and we love it. Will gets a FREE T-shirt from our range for sending it in.